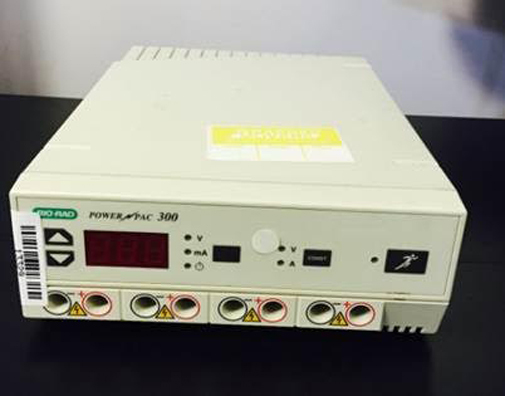 The PowerPac 1000 power supply is perfect for most SDS-PAGE applications. 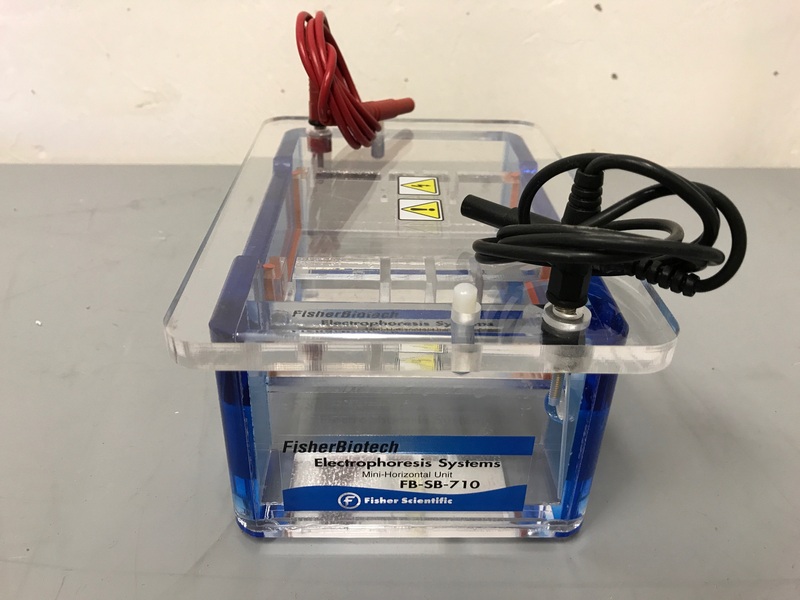 In addition, its programmability makes it ideal for running isoelectric focusing, or experiments requiring step changes in electrophoresis conditions. 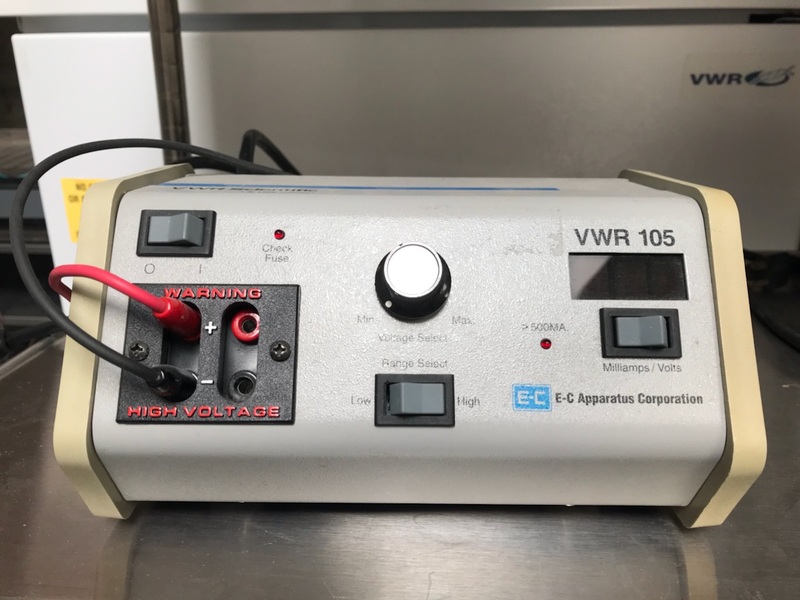 With sufficient voltage for IEF and sufficient current for multiple PAGE gels, plus the control required for reproducibility, it is the ideal power supply for 2-D electrophoresis. 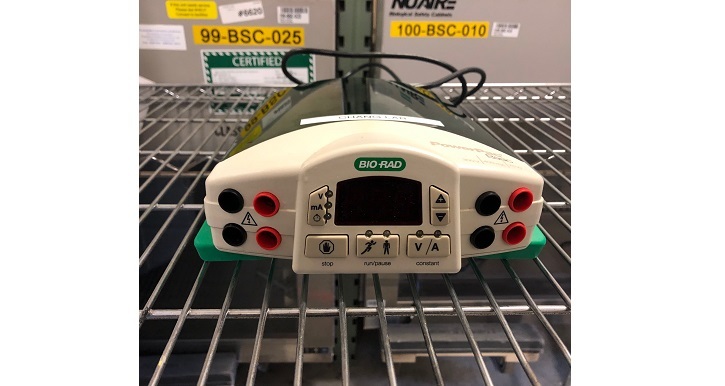 Bio-Rad Power Pac 300 is an electrophoresis power supply that can provide voltages from 10 to 300V. It has a current output range from 4 to 400mA and has a maximum power output of 75W. 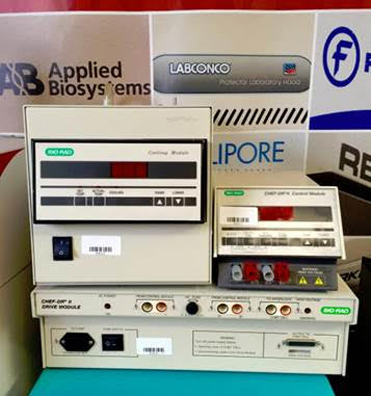 It can connect up to 4 electrophoresis cells in parallel. 250 Volts and 500 milliAmps DC. Two sets of outputs operate in parallel to provide between 20 and 250 volts, up to 500 milliamps, and up to 75 watts in the constant voltage mode. The Leica EL6000 external light source for enhanced fluorescence imaging connects via a liquid light guide to all Leica Microsystems’ upright, inverted, and stereo microscopes. The Leica EL6000 keeps heat away from the specimen and microscope and uses an alignment-free, mercury metal halide bulb with an extremely long lifetime of more than 2000 hours. This reduces operating costs and saves the time it takes for centering lamp housings. The Leica EL6000 has an integrated fast shutter, which is fully supported by the Leica LAS AF software. 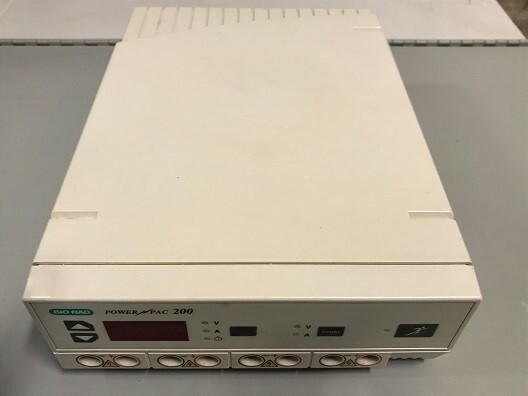 This deionizing power supply is designed for removal of electrostatic charger from glass, paper, and plastics, and for high voltage HAUG ionizing units. This compact and constant voltage power supply is designed for gel electrophoresis. 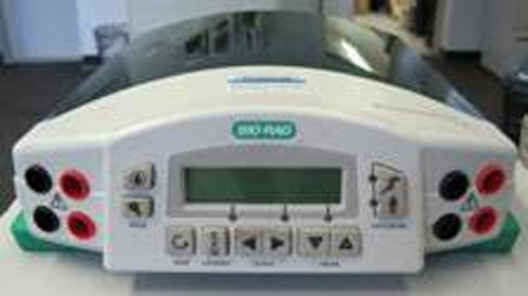 It can also be used for Mini-SDS-PAGE and pulse field electrophoresis applications. This power supply has a built in overcurrent detector for maximum safety and two jacks.